At last year’s dmexco, AOL’s Digital Prophet, David Shing, was asked to discuss the future of advertising and marketing in the digital space. His response: “The question I get a lot of the times is, ‘Hey, what’s the future of video?’… That’s not the question – video is the future.” Judging from the fact that mobile video is the fastest growing ad format, with an estimated total US media spend of $2.62 billion this year and a projected growth rate of over 50% in 2016, Shing delivered on his title “Digital Prophet”. Consequently, mobile video took center stage in many of the sessions at this year’s dmexco. “Mobile and video are the two most interesting growth areas that are very much coinciding” said Anna Bager, Senior VP and GM, Mobile and Video at IAB. In Bager’s panel discussion “Hitting the next milestones”, audiences learned that the biggest mobile video spenders are gaming companies and performance advertisers who are taking advantage of immersive mobile video for customer acquisition. The highly engaging format with measurable installs and conversions is ideal for advertisers focused on user acquisition. At the same time, the consensus across many of the sessions was that the primary growth area for mobile video lies in brand advertising. Here, the story-telling capabilities are especially fruitful for in-app placements vs. mobile web ads, due to technologies like pre-caching to improve video playback, and advanced capabilities from native integrations to rewarded ads, which can help to make in-app mobile video campaigns highly immersive. As brand advertisers learn to use better targeting with location and user data, there is great opportunity to create tailored content for mobile. The show’s other hot topic was programmatic buying. With the rise in mobile video, automated buying is vital for advertisers to efficiently add mobile video to their multi-screen marketing strategies. This was underlined by success stories from advertisers like Thomas Cook, who have effectively used multichannel programmatic buying to lower cost per order of online advertising by 7% and increase the CTR of moving image placements by 16%. Brand impact will become a KPI: In the session “Bringing Brand Advertising to the Programmatic Era,” Matt Persson of AdForm predicted that brand advertisers will adopt programmatic mobile buying as it moves towards fraud-free, brand-safe inventory with guaranteed viewability. While recent developments around ad blocking on iOS 9 were a topic both on the show floor and in the sessions, we foresee a rapid evolution of solutions that address current viewability concerns. Even today, rewarded in-app video placements that give users an intrinsic motivation to engage with advertising to earn free content, can help bridge this gap. This will allow advertisers to focus on measuring the impact of their campaigns in terms of branding impact, rather than trying to answer the question whether an ad was seen at all. Creatives will embrace programmatic: The added targeting methods offered by programmatic will intensify the discussion about the creative implications of this technology. As native formats and hyper-targeted campaigns gain traction, advertisers and their digital, creative, and media agencies will have to work together to make the most of capabilities around user-centric campaigns without having creative budgets spiral out of control. In this weighing of standardization vs. customization, we will see the beginnings of a new balance between the two, driven by technical developments. Dmexco will continue to grow: This year’s show was bustling with over 43,300 attendees, far exceeding the estimated 32,000 visitors, and proving that Europe’s digital media economy continues to grow at a fast pace. Between Barcelona and Berlin, there are new and innovative companies that enter the market, while consumers and advertisers benefit from a well established digital ecosystem. 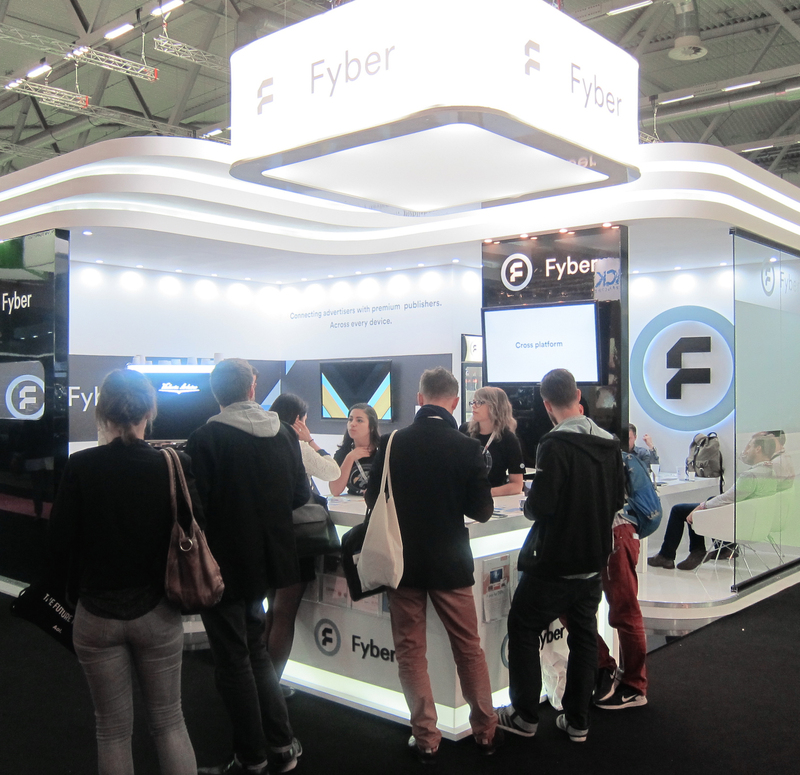 With this in mind, the team at Fyber is looking forward to an even bigger, better show next year!